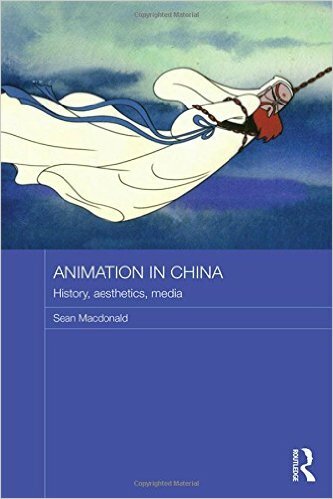 Although the title of Sean Macdonald’s new book is Animation in China: history, aesthetics, media, it keeps largely to an account of the group of animators and facilities that formed the nucleus of the Shanghai Animation Film Studio in 1957. He has plainly realised that a little coverage of the pre-war Wan brothers, and a little more about the animation output of animators in Manchuria, allows him to spend his 272 pages essentially writing about a single company, as SAFS dominated the Chinese industry until 1992. Thereafter, events of the last generation are crammed into a single closing chapter, which is still informative but necessarily brief. Many writers on Chinese animation cut it far too much slack, but Macdonald pays it the compliment of treating it with critical objectivity. He’s not afraid to describe the voice-over in the iconic Where is Mama? as “precious, even grating.” But he is ready to argue the case for Chinese films that have been largely overlooked, even by the animation community, such as the stop-motion Princess Peacock (1963), the Oscar-nominated Dreams of Jinsha (2010), and the online serial Miss Puff (2012). He also reveals why Tsui Hark’s animated Chinese Ghost Story is so often left out of Chinese accounts – released in 1997, just 26 days after the Handover, it wasn’t “Chinese” when it was in production, because at the time Hong Kong wasn’t either! Macdonald acknowledges the vital importance of Japanese animation for understanding the Chinese market, both in terms of early innovators such as Tadahito Mochinaga, who enjoyed a Chinese career under the name Fang Ming, and later helpers such as Tetsuya Endo, who did the real work on “Tsui Hark’s” animated Chinese Ghost Story. He discusses the famous Uproar in Heaven, the Monkey King from which remains the mascot of SAFS, not only in terms of its Chinese context, but of its parallels with Tezuka’s Alakazam the Great, which was released a year earlier. He even compares the working practices of the Wan brothers (with welcome translated quotes from one of their memoirs) with those of Osamu Tezuka in the age of “limited animation,” playfully comparing the car-crash scene in the first episode of Astro Boy to a famous sequence in Eisenstein’s Battleship Potemkin. He is also willing to look at theorists of the art and industry, such as Thomas Lamarre and Ian Condry, a wise decision in a field where specialists all too often seem either all-Japan, all the time, or no Japan at all. Whisper it: Japan and China do have an awful lot in common, and theories of the anime world can often reap benefits in China. Japan remains a rich source of capital for Chinese animators, who continue to work as inbetweeners and colourists below the line on many “Japanese” shows. But Japan is also a staunch rival, ever since the embarrassing moment in 2004 when six of the top ten cartoons on Chinese television were revealed to be anime. Macdonald is particularly good on the panicky backlash to this, with the Chinese government banishing Japanese media from its airwaves. 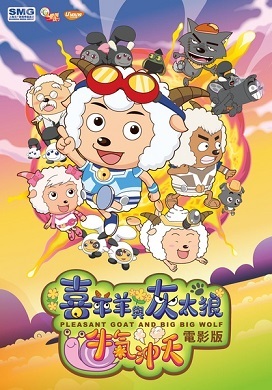 In the wake of the nationwide (and considering the elimination of the competition, inevitable) success of the 2009 Pleasant Goat movie The Super Snail Adventure, animation becomes a huge growth area in Chinese colleges, even though the prices paid for it in the industry were derisory. This means a huge labour pool unable to do anything except dogwork on foreign cartoons, unless the government sneaks behind the scenes and effectively bribes Chinese producers to accept the low fees offered by Chinese TV channels. At least it keeps the Japanese out, right…? Well, no, which is what the recent streaming clampdown has been all about. Macdonald deals early on with the Chinese neologism dongman, which he translates as a term for animation and comics fandom in general. I am not so sure it is – to me it has always been a catch-all term that subtly conceals a love of Japanese media among the Chinese. I’m ready to be proved wrong, but his use of this term could have done with more investigation, particularly since he later begins referring to Chinese comics as “manga” (sic). Though no fault of Macdonald’s, this is a slippery and loaded argument; sometimes the Chinese term manhua is intended in all innocence; sometimes it is a weasel-word smuggled in by charlatans, and best used with caution. Japan is also an inspiration, as witnessed in Macdonald’s amusing account of a Chinese businessman from an unspecified factory, who suddenly wants to get into theme parks and wants to know if the mascot characters are ready-made, or if they should knock up a world-beating cartoon first… as if that’s the easy part. Macdonald goes off on a long, long, long tangent about the nature of oriental studies and “area” studies in academia, which was truly interesting, although I don’t think it ended up having a lot to do with Chinese animation. But since he clearly doesn’t mind the occasional digression, I would like to devote the rest of this otherwise glowing review to another topic. Why is this book £90? We live in an age where, unbeknownst to the general public, many academic books are actually print-on-demand (look for the tell-tale Lightning Source barcode on the final page), drastically reducing likely warehousing costs. I don’t know if Macdonald’s book is an example of this (I am looking at the Kindle version), but even if it isn’t, there can’t be very high storage fees for what is undoubtedly a small print-run. That cover price certainly didn’t go on marketing, because the first I even heard about the book was when the author himself posted about it on an animation newsgroup. A tenner says little of that money made it to their editors, either, so what are Routledge saying when they put a £90 price-tag on this book? They are saying that they only expect a few dozen libraries and a couple of eccentric millionaires to even consider buying it. That is not necessarily an incorrect view, since I reviewed Rolf Giesen’s Chinese Animation: A History and Filmography here last year, and the article has had less than 350 hits. So maybe people don’t care that much about Chinese animation, or maybe they don’t have the chance to. Aha, you say. But a book isn’t merely about the materials of its construction. It’s about the intellectual property it contains. You can’t put a price on academic achievement! I regularly fork out £50 a time to buy copies of new doctoral theses to use in my research, and those often exist in single-digit print-runs. And two hundred years ago, even a popular novel would cost more than the average working man earned in a month. It just annoys me to see us returning to such paradigms in an age where the publishing of a book is often the least expensive and time-consuming part of the process. Routledge don’t have to charge such a high price; authors can fight it. 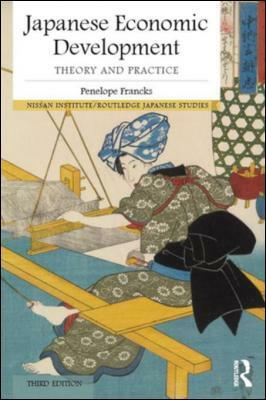 Twenty years ago, they tried it on with the pricing of Japanese Economic Development: Theory and Practice, and the author, Penelope Francks, revealed that she wanted it as an affordable text book in her classes. She told them they were going to print it in paperback for less than £20 a throw, and if they didn’t like it, she would take it elsewhere. Realising it was folly to argue about price-points with an economist, Routledge backed down, although I note with interest that the recently published third edition of Francks’s book is now available in hardback for an eye-stinging £95. There is, I am sure, an algorithm behind the scenes at Routledge, whereby this book is expected to monetise, despite selling copies to less people than would fill a cinema. But there are other formulae to consider. The University of California has recently started giving away its books for free on Kindle, although it expects the authors to stump up three grand of their own money. Stone Bridge Press deliberately set the price point of the e-Book version of the Anime Encyclopedia at a ridiculously affordable £11, on the understanding that it would expose the £100 book to many new readers. You can, of course, fork out for Macdonald’s excellent book on the Kindle, where it is a less painful £34.99, and thankfully comes with real page numbers – the absence of which is usually my main bugbear when buying e-Books to use for scholarly purposes. But even that seems a little steep, particularly when Chinese animation itself is seemingly priced so cheaply.